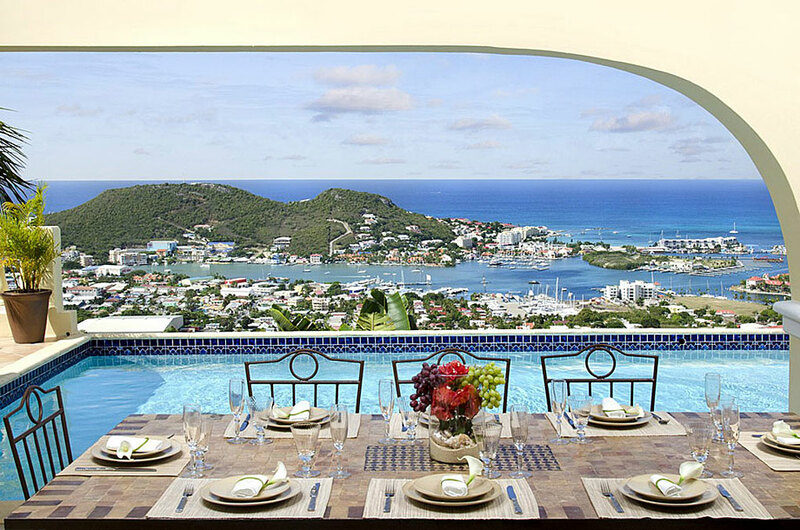 Enjoy the stay of a lifetime at this truly remarkable villa in the heat of St. Maarten. 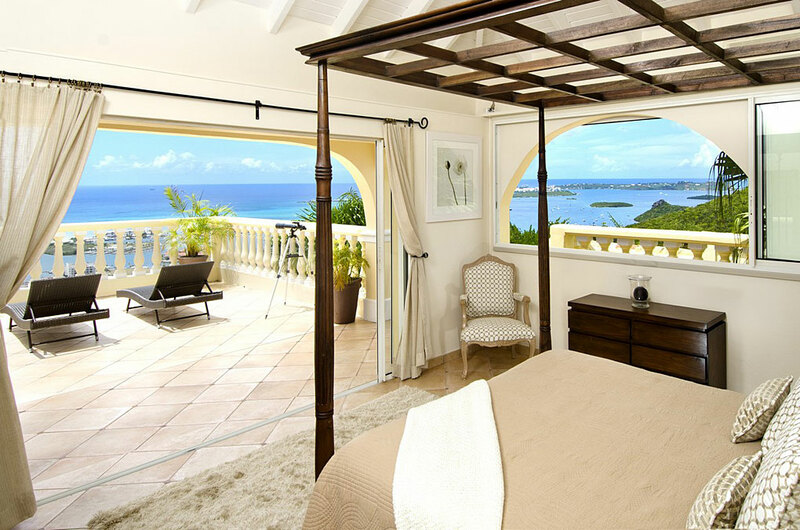 Here, you have a wonderful view from every window as you are overlooking the Simpson Bay Lagoon and the ocean. 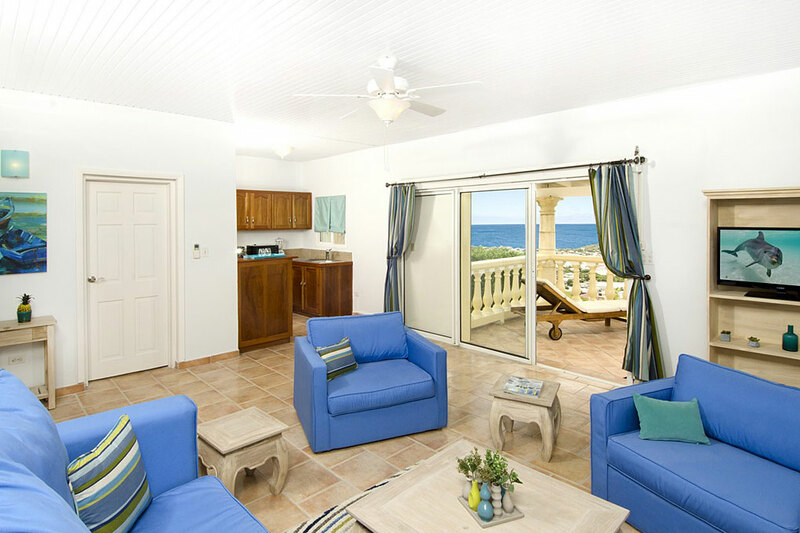 This 4 bedroom villa has 4 bedrooms, 4 1/2 bedrooms, with 3 bedrooms on the main floor and 1 studio suite on the lower floor. 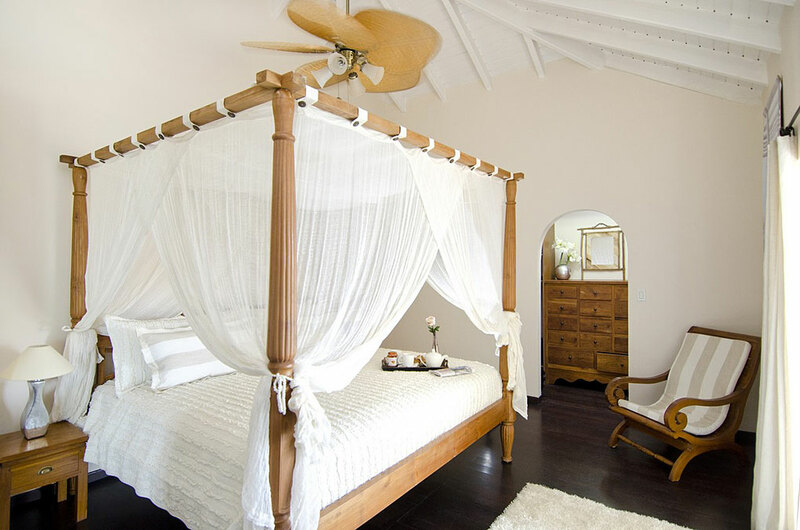 All the bedrooms have air-conditioning. The studio on the lower floor has its own living room and balcony. 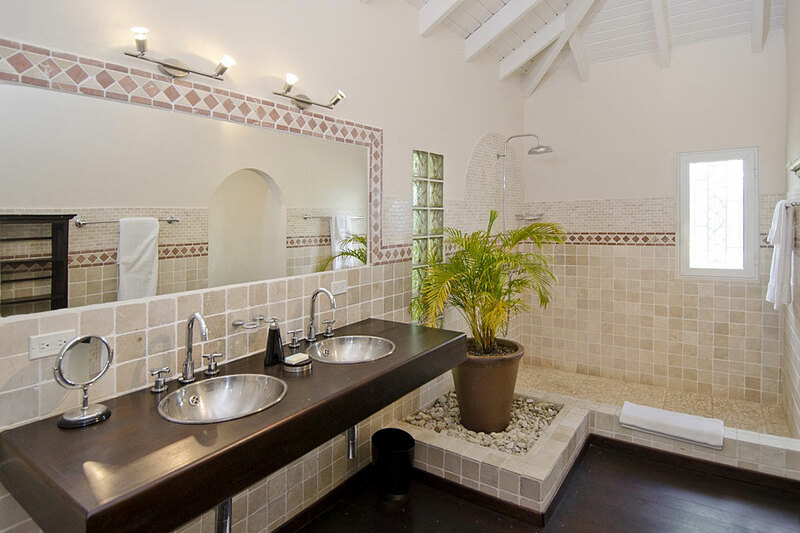 The villa has all amenities to make your stay comfortable. 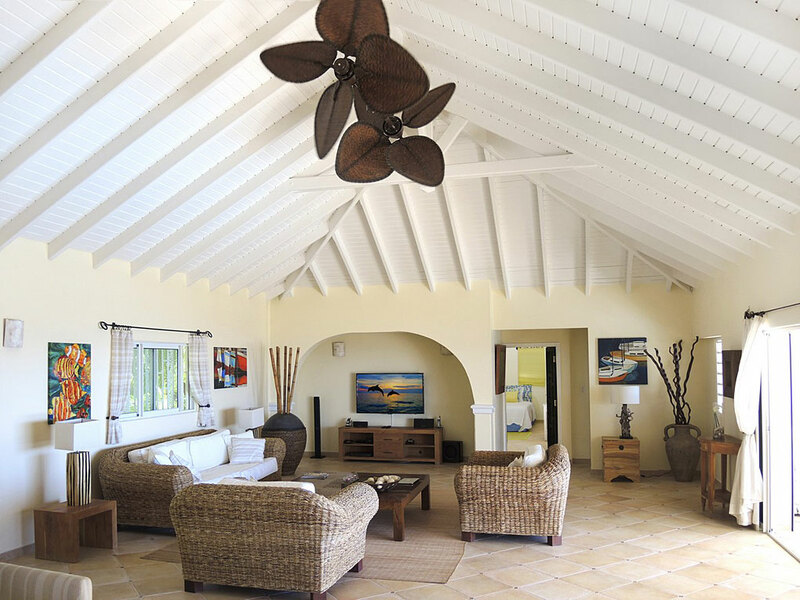 Almond Grove is very well located as you are very close to both sides of the island, Simpson Bay on the Dutch side, which is the area where you have the most restaurants and bars, as well as the capital of the French Side, Marigot. 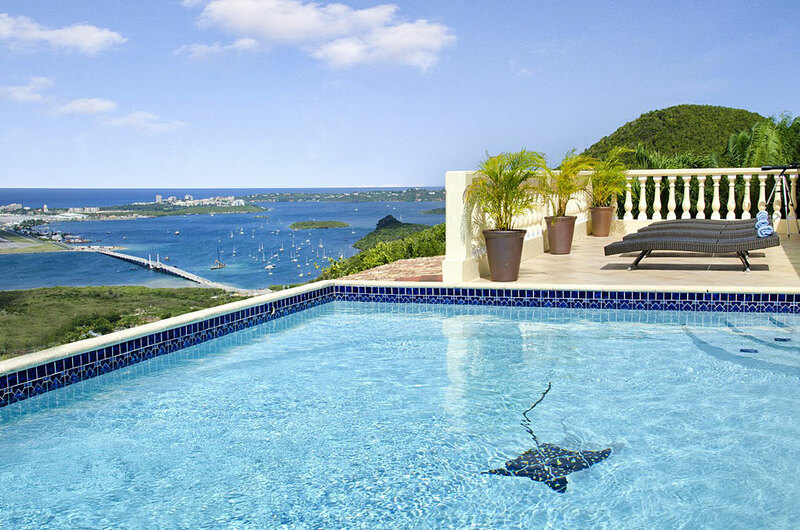 Relax at the amazing pool with stunning views and watch the airplanes land and take off in front of you. 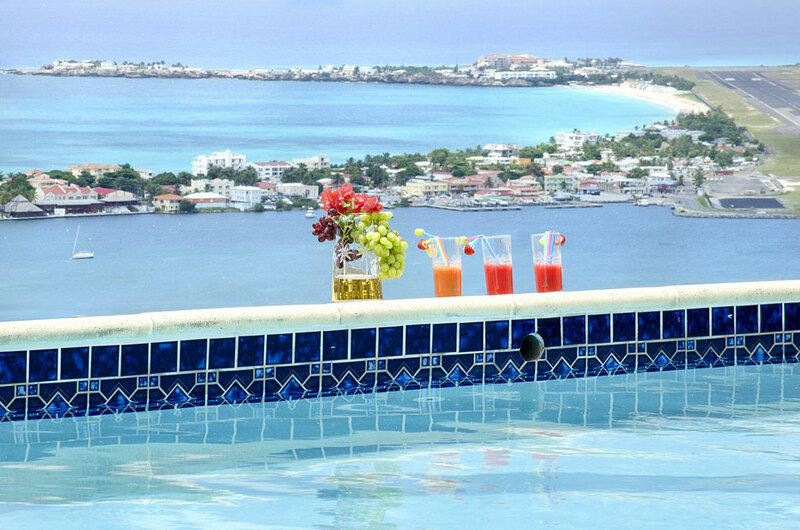 This Villa is called Villa Vista for a reason…close enough to participate in everything the Friendly Island has to offer, but private enough to allow you to truly get away from it all. Pets are allowed for an additional charge. 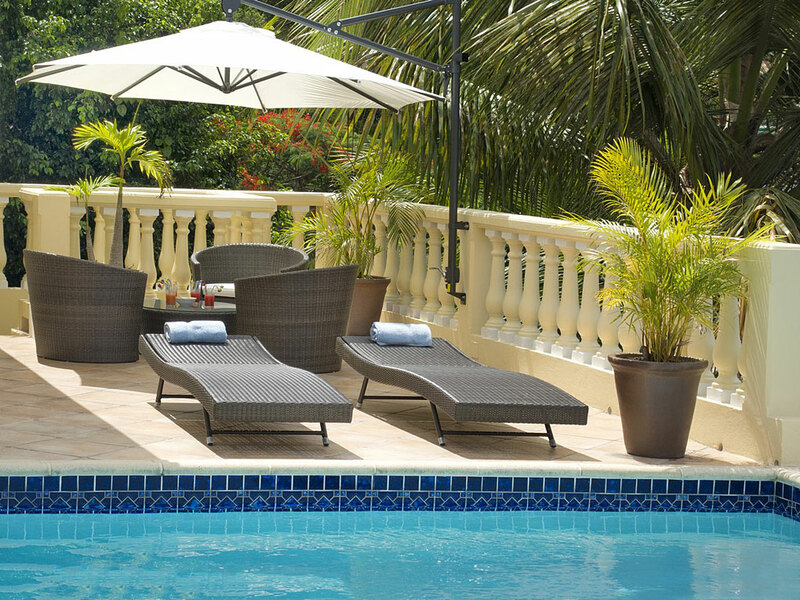 Pool: A large private pool area surrounded by chaise lounges for the guests to sun bathe and soak in the pool. 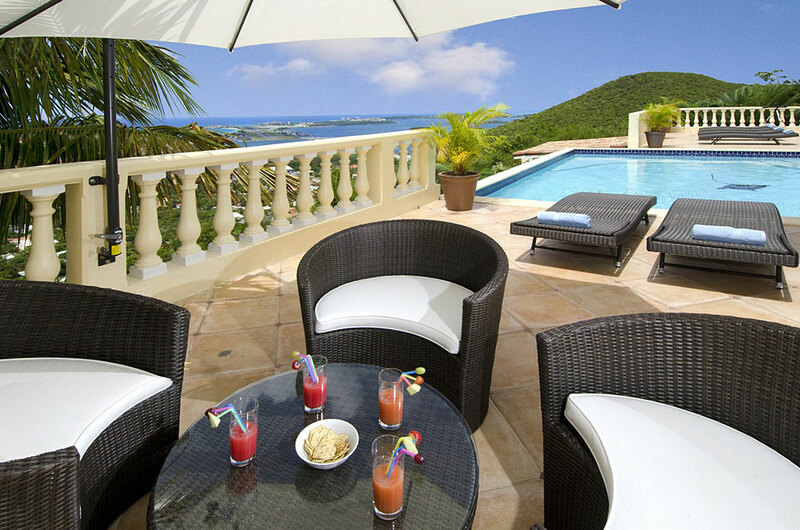 There is an outside dining area that can comfortable sit 8 guests and an outside lounge area to enjoy the sunsets. 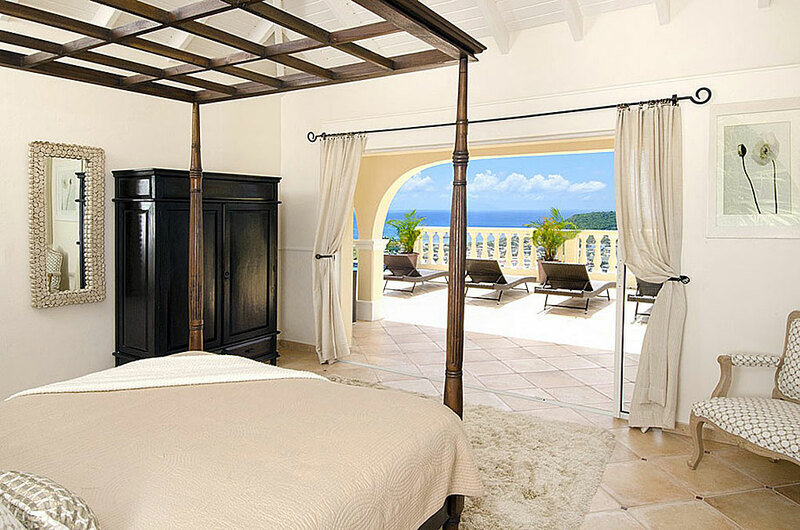 Master Bedroom 1 – The Master Bedroom offers a king-size bed, air conditioning and the doors open to the terrace. 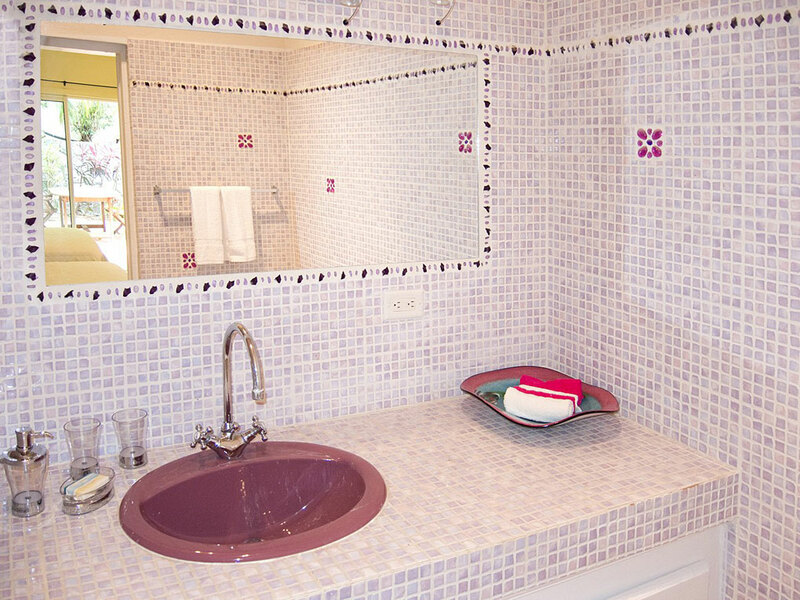 The bedroom has an en-suite bathroom equipped with double sinks and a spacious shower. 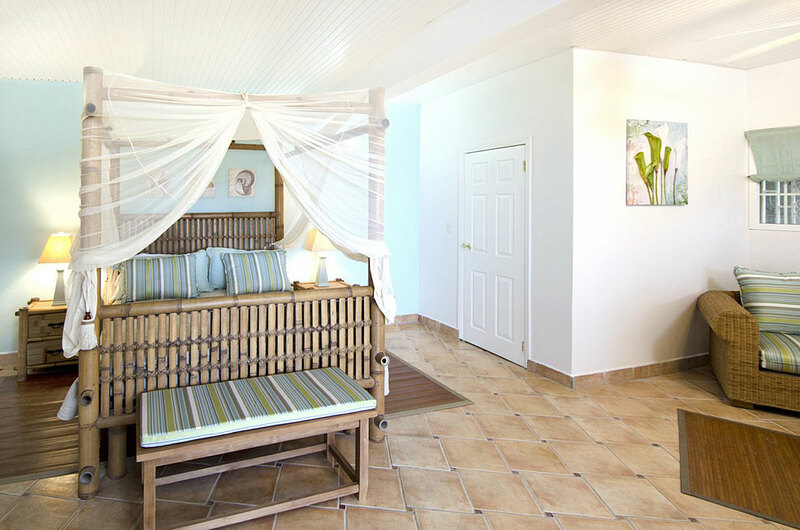 Bedroom 2 – The second Bedroom offers a queen-size bed and air conditioning. 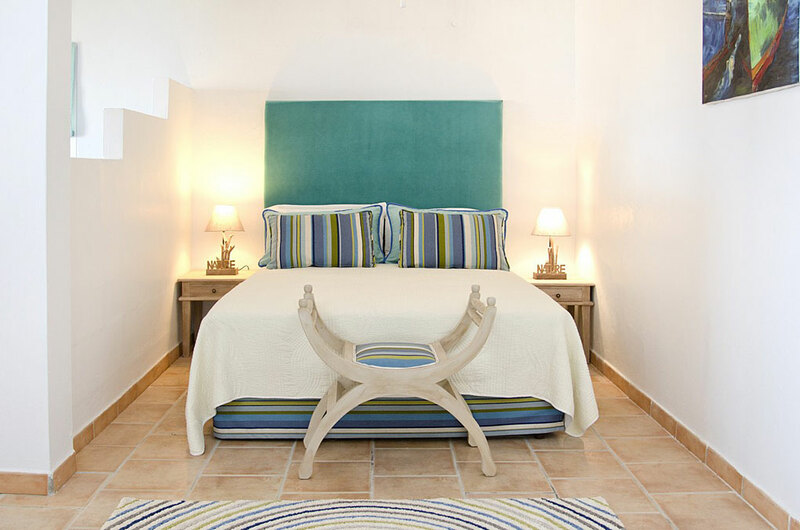 The bedroom has an en-suite bathroom equipped with single bowl sink and a spacious shower. 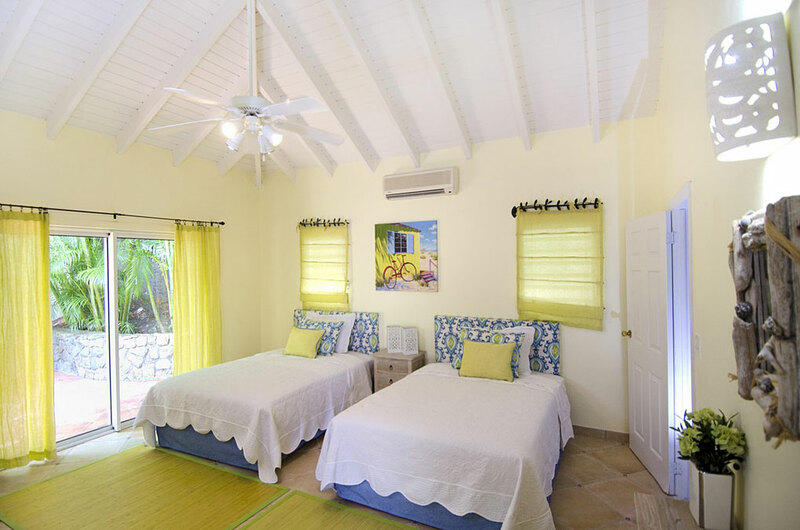 Bedroom 3 – The third Bedroom offers a 2 double beds and air conditioning. 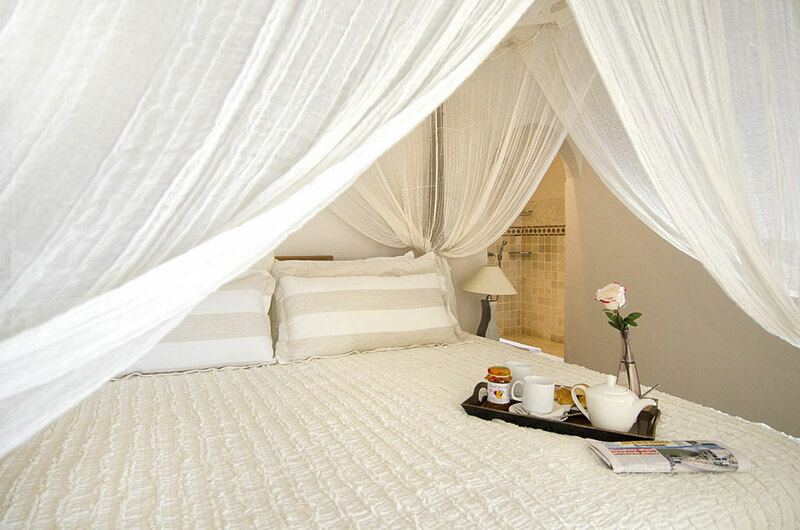 The bedroom has an en-suite bathroom equipped with single bowl sink and a spacious shower. 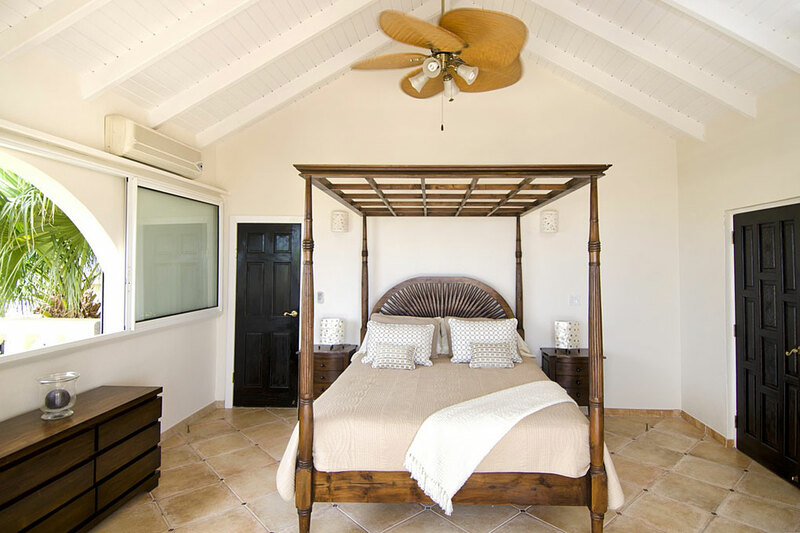 Bedroom 4 – The fourth Bedroom offers a queen-size bed and air conditioning. 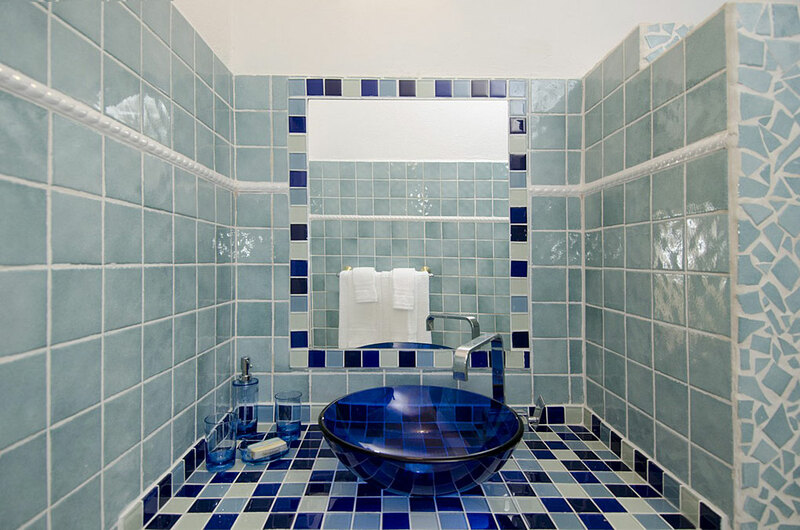 The bedroom has an en-suite bathroom equipped with single bowl sink and a spacious shower. 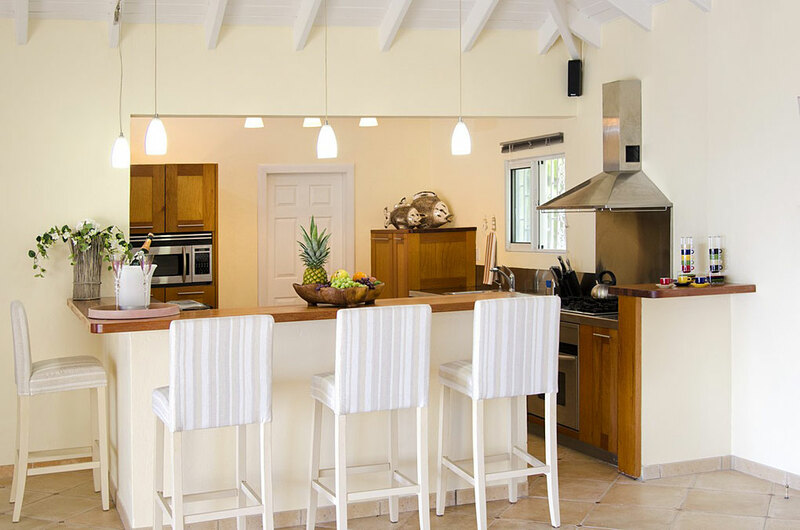 The kitchen is equipped with a stove, oven, dishwasher, microwave, refrigerator, coffee maker and glasses, cooking utensils, crockery and pots. There are 4 stoels at the bar in the kitchen. 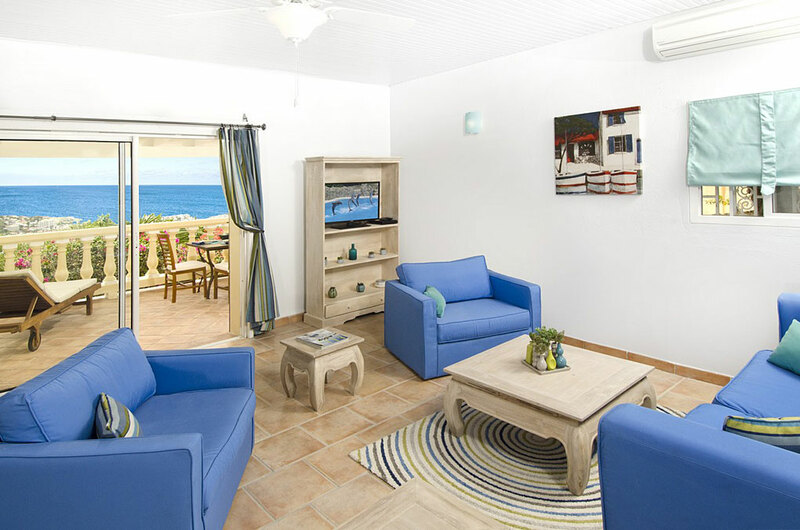 The spacious living & dining area is modernly furnished with air-conditioning, a ceiling fan and a flatscreen tv. 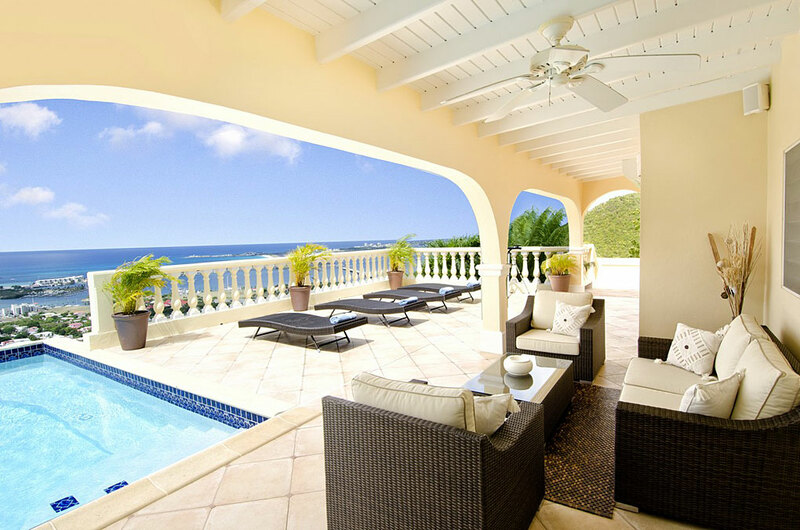 From the living area you open the sliding doors to the pool deck and terrace. Please note that the caretaker resides in the separate 5th bedroom unit downstairs. 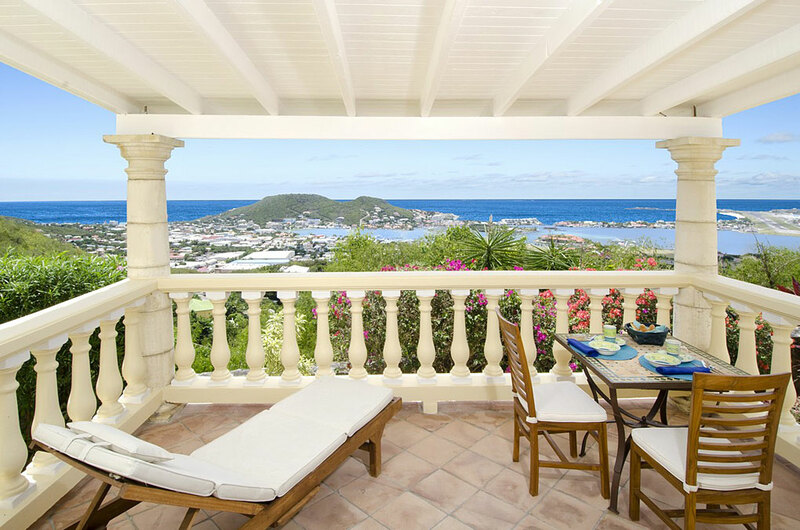 Nearest beach: Short drive to beaches on the French & Dutch side of the island. 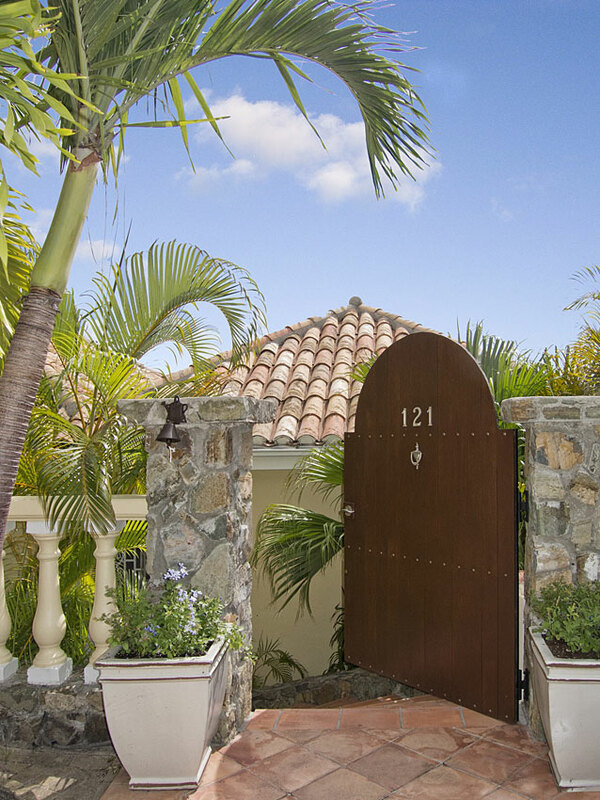 The villa is conveniently located a short drive away from the airport with restaurants, shops and grocery store. 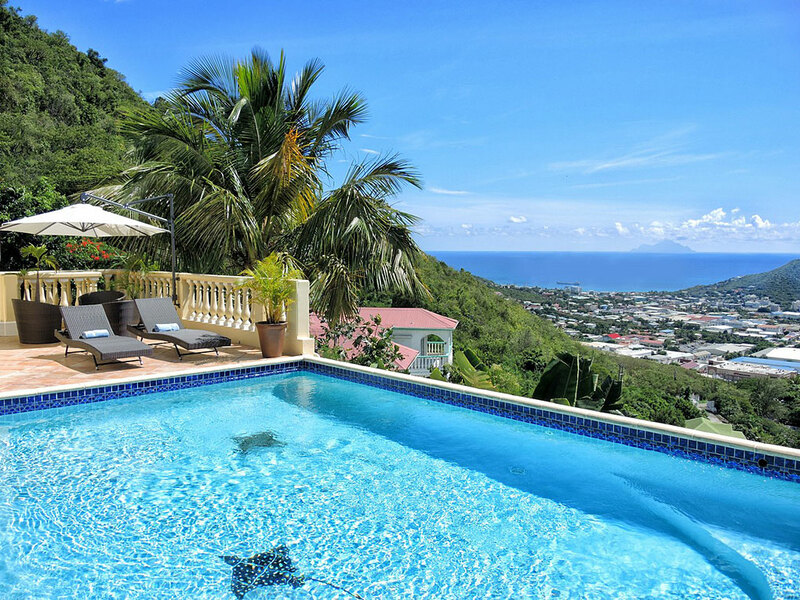 Princess Juliana International Airport – 15 minutes, Philipsburg, the Dutch capital – 20 minutes, Marigot, the French capital – 5 minutes, Nearest Casino – 10 minutes, Restaurant – 5-10 minutes. Minimum stay 5 nights. 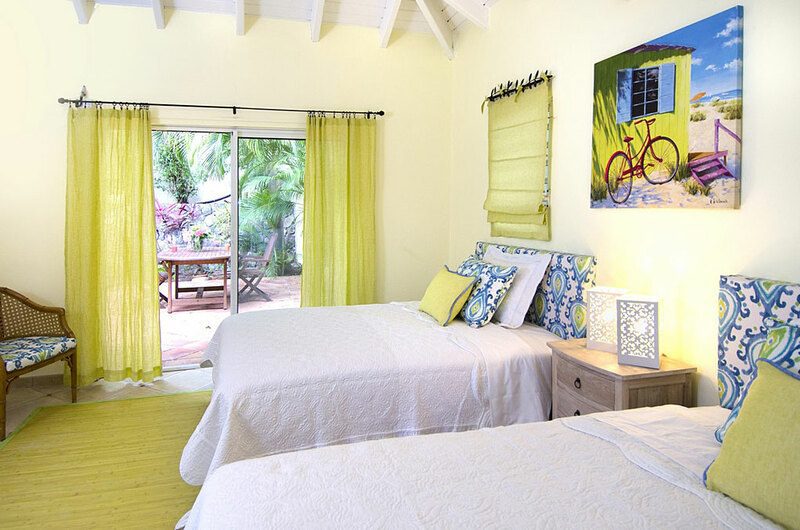 10% discount for bookings of 3 nights or more. 7 nights and welcome basket. Minimum Booking is 5 throughout the year except for Christmas & New Year's.